Classic Ivory Rose sprig petite pointe d"esprit. 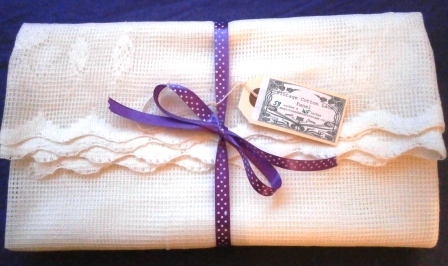 A cotton lace panel 58" wide by 45" long. 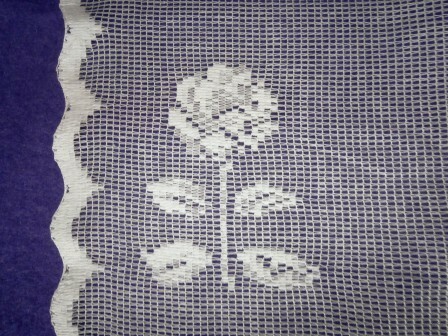 12 point finest lace panelling of traditional interior design made in top quality cotton lace. This period lace curtaining has finished decorative sides. 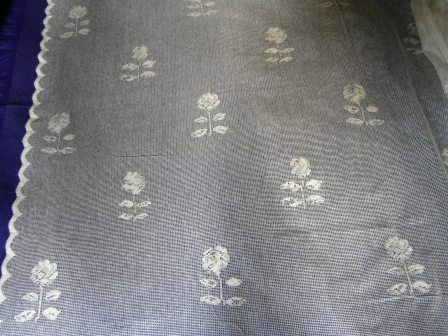 The top and bottom edges require hemming and a rod pocket in order to use as a curtain. 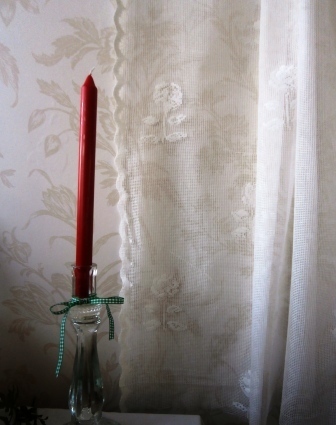 Pale Cream in colour with original classic design decorating this timeless lace curtain panel. Warm hand wash, unused condition.